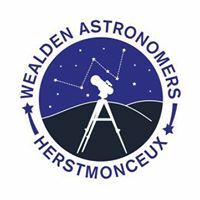 Wealden Astronomers Meeting at Herstmonceux village hall on 23 February 2017. Guest Speaker William Joyce. Subject will be "A Whistle stop Tour of the Universe". Members admission free. Non members £1 at the door.